A video game, a website, passion, and deep pockets. Though none of the parties involved knew how the final recipe was going to turn out (and still don’t for that matter), the raw ingredients came together in just the right amounts at just the right time to form CPD Racing. Now, let’s back up a bit. Minneapolis businessman Doug Havir, the owner of National Bankcard Services, loves computers and video games and quickly grew to love the sport of rallying he was first introduced to via his favorite Gran Turismo video game. However, a love/hate relationship soon developed with the iconic blue Subaru that was too often victorious in the video game, and heeding the familiar “if you can’t beat ’em, join ‘em” refrain, Havir went in search of his own Subaru, the non-virtual variety. Havir contacted Scott Putnam through the latter’s Subaru.net website, the purchase of a 2001 Impreza 2.5 RS was the result. Stock didn’t really rock for Havir, but $20,000 in trick aftermarket parts helped satisfy his growing need for speed. Not wanting to next have to install an oversize aftermarket glove box to contain huge numbers of speeding tickets he was sure to accumulate zooming down public roads though, Havir decided he needed to get his fix in the forest. This decision brought Havir to buy a second car from Putnam, a 2002 Subaru WRX. Following $30,000 in modifications this time, and an invitation for Putnam to join him in his new pursuit, Havir now had himself a proper rally car and a co-driver. Havir spent four days at Tim O’Neil’s Rally School, where he learned left-foot braking and weight transfer techniques, and promptly declared himself officially hooked on the sport after entering – and successfully completing – just a few rally events. With the means to pursue his new passion, Havir next crossed the Atlantic in search of even better equipment, ending in England at a professional rally car-building company called Prodrive. They have won an incredible 100 international rallies and six World Rally Championship titles all with Subaru vehicles. For Havir, Prodrive built a WRX STi with all the latest go-fast bits and $160,000 later he and Putnam would progress to the Open Class with their now-familiar yellow car. The car wasn’t the only thing the team imported from England though. Crew Chief Graham “Whiskers” Evans also came along for the ride, bringing a wealth of WRC experience with him to tend to the primary car and a second GC8 body style Impreza which was added to the mix in 2004. The team has known success, starting with Havir’s SCCA’s “ProRally Rookie of the Year” award in 2002, numerous top-ten finishes in 2003 and 2004, and a fifth-place finish in Doug’s last race at Pike’s Peak in 2005. During this time Havir was busy behind the scenes as well though, forming a dedicated company called Rally America to time, score and manage ProRally events. ClubRally properties from the Sports Car Club of America, and launched an all-new National Championship series in 2005. Rally America and Doug Havir continued to work to bring rally racing in to the mainstream of American motorsports, and they made performance rally a part of the X Games circuit in 2006 in Los Angeles. 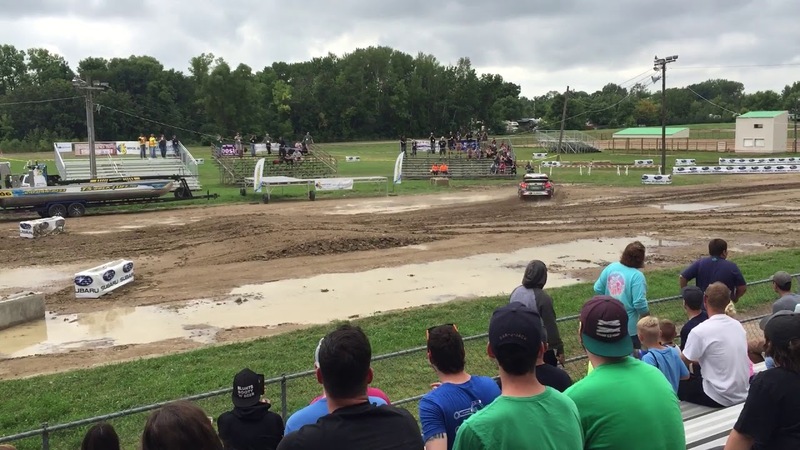 The X Games was an opportunity to present the sport to several million viewers on ESPN and ABC-TV, and in the process show a new audience of future Doug Havirs that rallying isn’t just a video game, but something real and really cool. The present Doug Havir also did something really cool with driver Lauchlin O’Sullivan along the way; he gave him a couple of “guest” rides in the CPD 2 Racing Subaru WRX STi, one of which resulted in victory at the Ojibwe Forests ProRally in 2004. This opportunity for bold benevolence came when O’Sullivan lost his Mitsubishi factory ride following that manufacturer’s decision to pull out of pro rally in the U.S., and Havir wanted to do what he could to help promote the career of one of the sport’s rising stars. Havir cultivated a similarly rewarding relationship with Tim O’Neil, another former factory driver who has also been a “guest” behind the wheel of a CPD Racing Subaru. 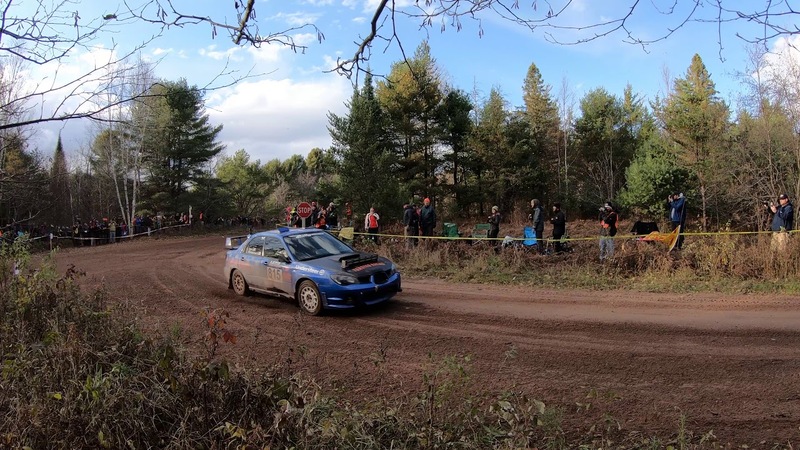 O’Neil has used Havir’s equipment in the last two Lake Superior Performance Rally events in Michigan, placing second both times. It doesn’t end there though, as O’Neil often takes CPD Racing members and their sponsors to school – literally. The five-time U.S. and North America Rally Champion operates the Team O’Neil Rally School in northern New Hampshire. Set among thickly forested evergreens in a private 560-acre valley, the site consists of a 6.5 mile forest road course, separate skid pad & braking zone, obstacle avoidance area, and a slalom course. Every year prior to the Lake Superior Performance Rally, Team O’Neil Rally School and CPD Racing hold what has come to be known as “CPD week,” where team personnel and VIP’s go through the school to either learn firsthand the basics of rallying, or to brush up on their technique for the demanding LSPR event. Skid control, accident avoidance, and vehicle dynamics are taught through a progression of skill building exercises that even the most experienced professional can learn from. One thing Doug Havir has tried to learn is that he can’t be in three places at once, and has decided he has enough to do this year running National Bankcard Services, Rally America, and even supporting a CPD Junior team with the express intent of developing some promising new American-born rally drivers. As a result he will be taking a hiatus from driving duties for the 2007 season, and has turned the CPD Racing car over to Lauchlin O’Sullivan, a move he views as a real recipe for success. The sport of pro rally in this country is lucky to have someone like Doug to “champion the cause,” and he would like nothing better than to taste victory as a team owner if the CPD Racing Subaru brings home the 2007 Rally America ProRally Championship. 2014 LSPR Rally, Car 90: SS6 – Back at it tomorrow.